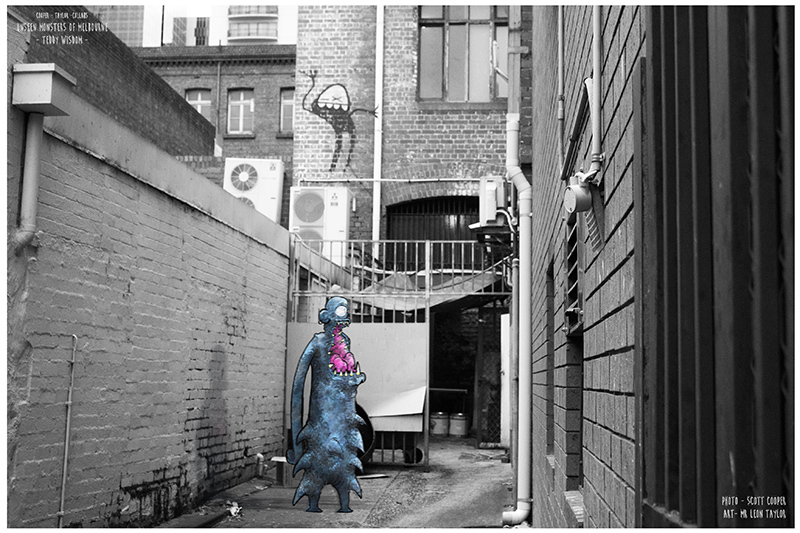 Only Teddy Wisdom knows the future of the Unseen Monsters of Melbourne. Teddy never leaves this alley, is its protector and is an all-round good man. But Teddy’s visions keep him in a haze most days; but give him a strong coffee and some chocolate doughnuts and you can get Teddy talking for hours about “the good ol days” before 1954.